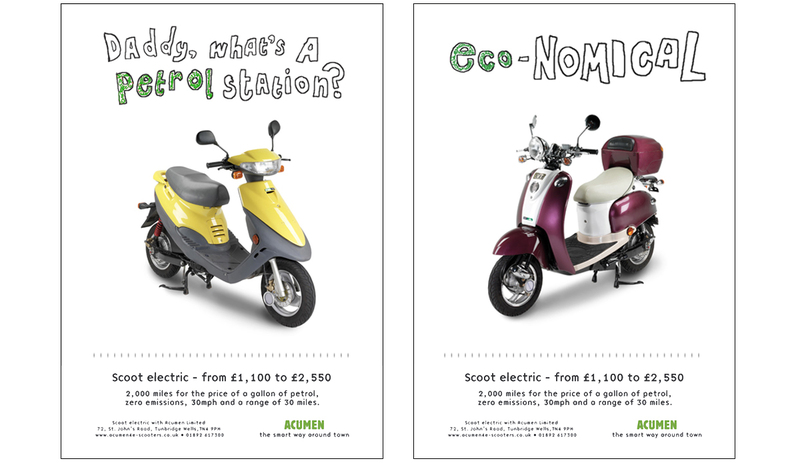 Launching a new range of eco-friendly scooters to young people who want to get mobile, but are on a budget. Responsible for: concepts, copywriting and art direction. 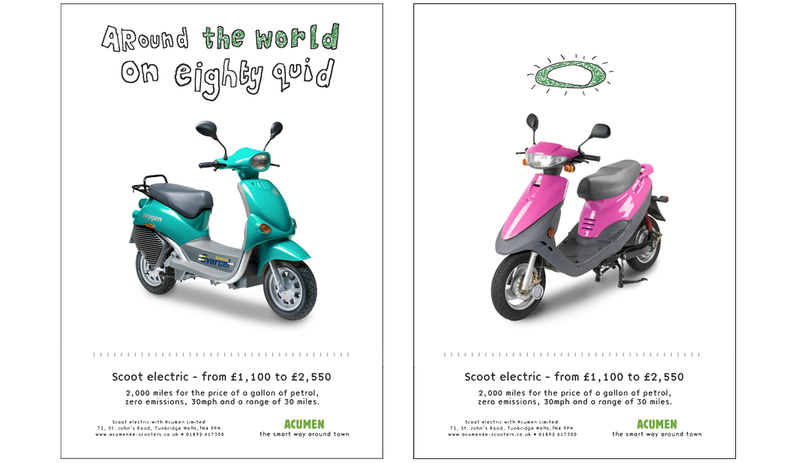 Scoot Electric – Concepts, copywriting and art direction. 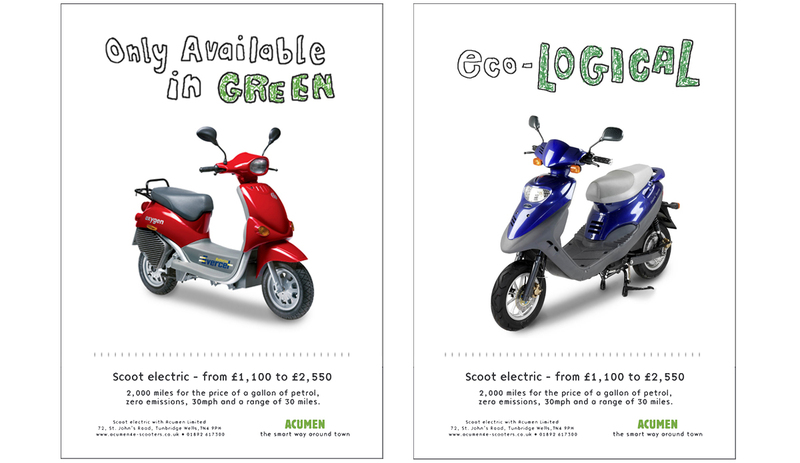 Environmentally friendly and incredibly economical to run, this range of electric scooters is also great fun to ride. With a top speed of 30mph, they’re never going to appeal to anyone who takes their biking seriously, so I concentrated on emphasising their planet and pocket-friendly credentials, whilst developing a playful brand feel. There was no budget to create new lifestyle imagery, so we were limited to using the manufacturer’s existing product photography. This was used to our advantage to create bold press ads and posters with an irreverent, confident attitude and single-minded proposition. Press advertising and in-store posters. Concepts, copywriting and art direction.